The InfinityPV has introduced the portable and compact solar charger, HeLi-on. 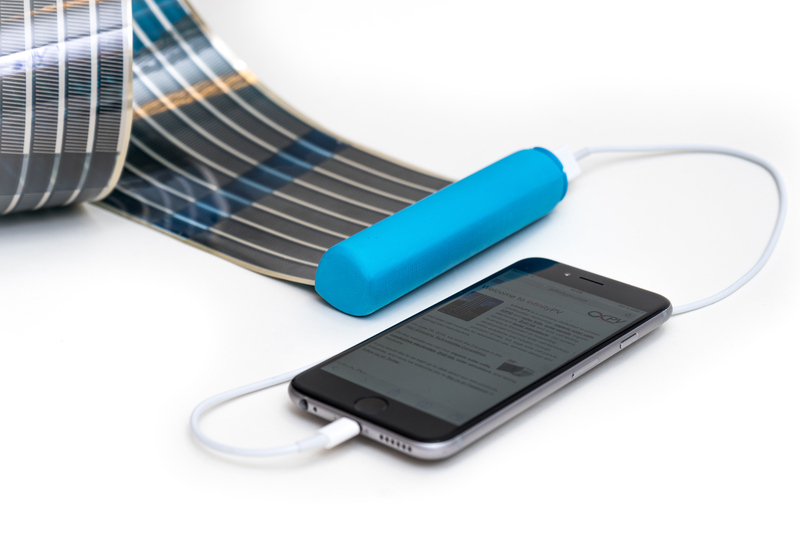 This portable battery charger houses flexible ultra-thin solar cells (measuring only 2 micrometers of thickness) that capture sunlight to store it on the attached battery from where you can charge any device that supports USB charging technology. But you may also charge any device via a USB cable just by unrolling the solar panel and pointing it directly to the sun. The solar panel housed on the HeLi-on requires up to three hours to fully charge a smartphone under sunlight exposure, after charging your device you can keep the solar charger under sunlight to power up the 2,600 mAh internal battery that makes the function of a power bank. Even though with limited power. Besides charging smartphones, the solar-powered charger can be also used to fuel your flashlight, camera, smartwatch, portable game consoles and more. HeLi-on is portable and light; its dimensions measure 11.3 x 3.6 x 2.8 cm and weighs only 105 grams. InfinityPV has launched the HeLi-on on KickStarter where the solar charger is available to pre-order for starting price of $74.